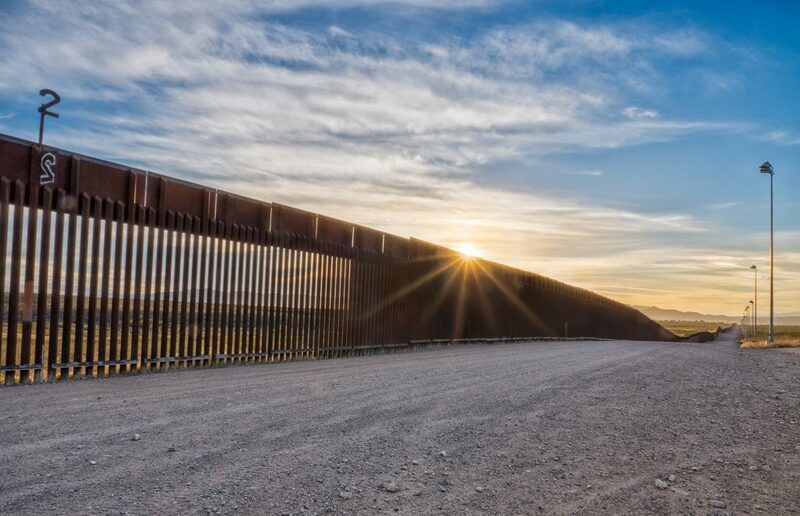 Contrary to President Trump’s claim that “large-scale unlawful migration” across the southern border constitutes a “national emergency” that requires building a wall, research suggests that undocumented immigration across the U.S.-Mexico border is actually the lowest it’s ever been in the past 25 years. The Center for Migration Studies (CMS) has issued a report with this conclusion, which reinforces the findings of a similar report released by the Pew Research Center in November 2018. According to CMS, the total number of undocumented immigrants in the United States has decreased by one million since 2010 and now stands at about 10.7 million. At the same time, apprehensions at the border have dropped dramatically, falling from 1.6 million in 2000 to about 300,000 in 2017—a decline of more than 80 percent. These numbers would not seem to signal an “emergency” at the border. CMS also reports that from 2010 to 2016, about two thirds of new undocumented immigrants became undocumented by overstaying temporary visas, while only one third entered across the southern border without authorization. A wall is clearly not going to have an impact on visa overstays. According to the report, the undocumented population is shrinking mostly because there are more undocumented immigrants leaving the country than coming. Undocumented arrivals fell from 1.4 million in 2000 to about 550,000 in 2007 and have continued near that level. But the number of undocumented immigrants who left the country—either of their own volition or because they were deported—kept increasing and grew from 370,000 in 2000 to 770,000 in 2016. This is occurring despite the fact that the U.S. labor market is in reasonably good shape, meaning that the economic “pull” factors which have traditionally drawn undocumented immigrants to the United States are not exerting nearly as much force as they once did. CMS points to heightened immigration enforcement in the United States and improved economic conditions in Mexico as likely causes of this new pattern. CMS points out that the official statistics they use to estimate new undocumented arrivals are likely inflated to some degree by the erroneous inclusion of Central American asylum seekers. Asylum seekers are exercising a right recognized under international and domestic law to request safe haven in another country—meaning that they are not undocumented immigrants. But in official statistics, asylum seekers and the undocumented are frequently conflated with each other. The declaration of a “national emergency” at our southern border may be politically expedient for the Trump administration, but it has no basis in fact. Migratory pressures along the border are at all-time lows. Nevertheless, the situation of asylum seekers who are being stymied by the Trump administration in their quest to seek protection in the United States is a serious problem that must be addressed. But it is a problem that a wall is not going to fix.